Find the best auto insurance rates for members of the National Guard. Service in the US National Guard earns you a substantial discount on your car insurance. Active-duty National Guard soldiers earn an average discount of $21 per six-month policy — or $42 annually — on auto insurance premiums — and that's based solely on occupational discounts, not counting special military savings. Let’s explore car insurance for National Guard soldiers, including discounts, a list of the cheapest companies, and the best way to handle insurance while deployed. Which company has the cheapest auto insurance for the National Guard? As you might imagine, USAA offers the cheapest car insurance rates for military personnel. At $488 for a six-month policy, USAA is $246 cheaper than the average major insurer. GEICO offers the second-cheapest insurance policies for National Guardswomen and National Guardsmen. The above pricing data is based on a generic user profile. Any attributes related to your driving profile — such as age and driving record — are not factored into these example rates. If you’re seeking personalized quotes, enter your ZIP code below to start comparing auto insurance. The above data also does not take into consideration additional discounts for which you may be eligible as a member of the National Guard. Certain insurance companies, outlined here, offer additional benefits and discounts for military service. Although the primary duty of the National Guard is to respond to domestic emergencies, overseas deployment may occur. In this case, your duty can lead to a unique car insurance scenario. Although canceling your insurance policy may seem reasonable, it’s not recommended. If you choose to cancel your policy, you will be charged more for insurance in the future because of this lapse. Below are some ways to handle car insurance during deployment. If you want to cancel your insurance coverage while deployed, you may need to cancel or suspend your registration. Suspending insurance coverage requires the submission of an Affidavit of Non-Use or a Planned Non-Operation (PNO) to your state’s department of motor vehicles. This requires you to state the vehicle won’t be driven on public roadways, and that its insurance will be canceled. For more information, reach out to your state's department of motor vehicles. If you don’t want to cancel your insurance coverage and vehicle registration, storage coverage is another option. If your insurance company allows it, you can drop your car insurance coverage to "storage." This removes all coverage aside from comprehensive, protecting against damage caused by vandalism, theft, and weather-related incidents. Because it doesn’t include collision coverage, you should store your vehicle in a secure location. Keep in mind your registration. Because car storage coverage forgoes liability insurance, it may not comply with state registration and insurance laws. If your registration is up for renewal soon, wait until it passes to add this coverage. If your state actively monitors registration, you might not be able to take this step. In this case, refer back to your non-use clause. Certain companies have military-friendly programs to handle deployment. If the above suggestions are not suitable, consult your insurer for other options. Some insurance companies offer discounts and additional benefits for those in the National Guard. The most notable provider of car insurance for military personnel is USAA. USAA's clientele consists of active or retired military, as well as their dependents and families. If you garage your vehicle on a secured military base, USAA offers a 15% discount. If you’re currently deployed and you store your vehicle in a secured location, you can save up to 90% on military car insurance quotes. GEICO offers a 15% discount for active service members, veterans, and National Guard soldiers. If you’re deployed in a congressionally recognized “imminent danger pay area," expect to receive an Emergency Deployment Discount. Even if you’re getting a decent discount with your military occupation, saving money is saving money. Let's explore some common ways to save on auto insurance. 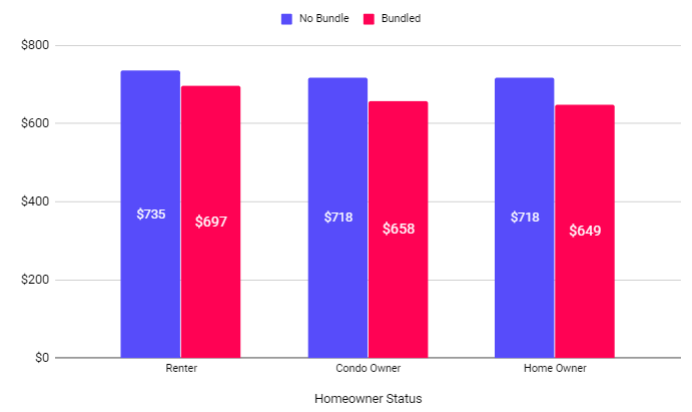 Bundling insurance policies will reduce the number of insurance companies with which you have to deal while leading to a multi-policy discount. Insurance companies use in-car telematics devices to track the way you drive and determine your rates. Below are some companies offering usage-based policies. Check to confirm the availability of telematics-powered insurance in your state. If your vehicle is valued less than $4,000, you do not need physical coverage (collision and comprehensive). These coverages are optional and are designed to protect the physical integrity of your vehicle. However, if your vehicle isn’t worth much in the first place, you might be paying for coverage you do not need. You can use Kelley Blue Book or NADA online to determine the value of your vehicle. 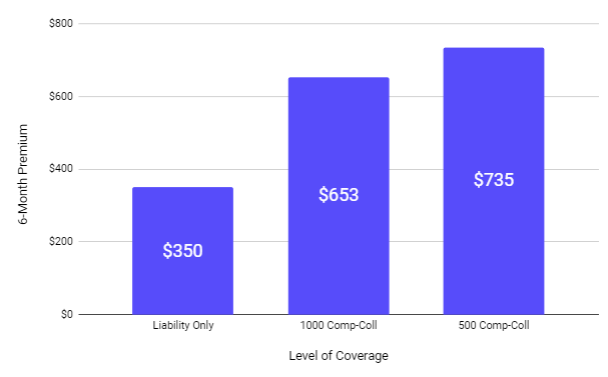 If you decide to drop these coverages, consider adding uninsured motorist property damage coverage. This will protect your vehicle if it is damaged or totaled by an uninsured motorist or a hit-and-run incident. You should only file a claim after a car accident if the value of damage is greater than the rate increase you would receive plus your deductible. For example, you get into an accident and have a collision deductible of $500. According to our data, an at-fault accident raised rates by $303 every six months — $606 annually. Most insurance companies will rate you for an accident or violation for three to five years. In this case, filing a claim would cost approximately $2,600. In order for it to make financial sense to file a claim in this scenario, the damage to your vehicle needs to be greater than $2,600. Get a cost estimate for the damage independently. Compare the three-year surcharge value plus your deductible to the out-of-pocket expenses you learned in step one. If it is cheaper to pay for your claim out of pocket do that. *Depending on your policy requirements, you may need to inform your insurance company of the accident. This may cause your rates to increase. If your insurance company drastically increases your rates before your informing them of an accident, consider this an opportunity to switch insurance companies. For more information on when and when not to use your insurance coverage, see here. You should not pick an insurance company simply because they provide a National Guard discount. Choose the company that offers the best rates and service for your personal driving profile. Enter your ZIP code below to see rates and information on local and national insurance providers.